You are invited to join us for a free reading. Due to circumstances beyond our control The Holmdel Theatre Company is regretfully canceling our fall production of The Lion in Winter. We are deeply sorry for any inconvenience. WHEN: Saturday, September 13, 1 PM-4 PM; Monday and Tuesday, September 15, and 16, 7 PM – 9 PM. WHERE: Phoenix Rehearsal Center, 111 Monmouth Street at the corner of Pearl Street and right next door to the Count Basie Theatre. All roles are open for this revival of the award-winning Broadway musical which will open at the Count Basie Theatre in Red Bank in mid-November. The show will be directed by Gary Shaffer with musical direction by Bob Sammond and choreography by James Steele. Spamalot is an irreverently hysterical musical comedy "lovingly ripped off from" the 1975 film Monty Python and the Holy Grail, with many roles for men from 30 to 50 years of age. The director is looking for people with excellent comic timing who can move well, with the ability to do accents a plus. Most of the roles are character voices and the ability to be funny supersedes vocal and dance skills. Those auditioning are asked to prepare 16 to 32 bars of an uptempo song, preferably a comic number. Bring your own sheet music. be prepared for a dance audition which will range from light movement exercise to strong tap, depending on role. Gymnastic ability is a plus. More information is available on the Phoenix website. For answers to specific questions, contact tom@phoenixredbank.com. Everyone is welcome to participate in several art projects, tour the studios, and meet with class instructors to learn about the Museum’s fall class schedule. This fall we'll be offering more than 65 classes and workshops taught by artists and educators, professional storytellers, book and fiber artists, classroom and enrichment teachers. Sign up for a class during our open house and qualify for a special $10 discount on most of our offerings. Pretty much everything you need to know is in the title! Kids will learn to experiment with different materials and make boatloads of cool art in this fun-filled class. Taught by Nan Krochta. Encourage your children to embrace their inner Coco Chanel in this class where they will learn the basics of fashion design. Kids will be encouraged and inspired to create their own fashion designs then they'll learn how to draw a fashion figure and clothing, measure cloth, create an inspiration board and much more. Taught by Leah Cahill. A great class to begin or refine your skills! Patterned after European academy drawing classes, this course offers solid instruction in principles of drawing. Intensive studio projects are complimented with group and individual critiques, lectures and historical references. 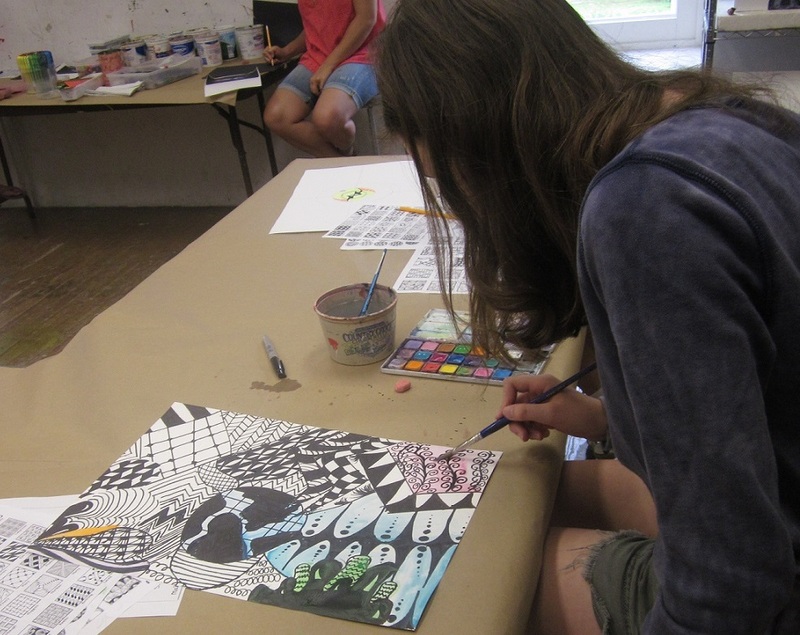 Elements of contour, value, composition and perspective are defined as students work from a variety of subject matter including still life and the life model. Taught by Charles David Viera. 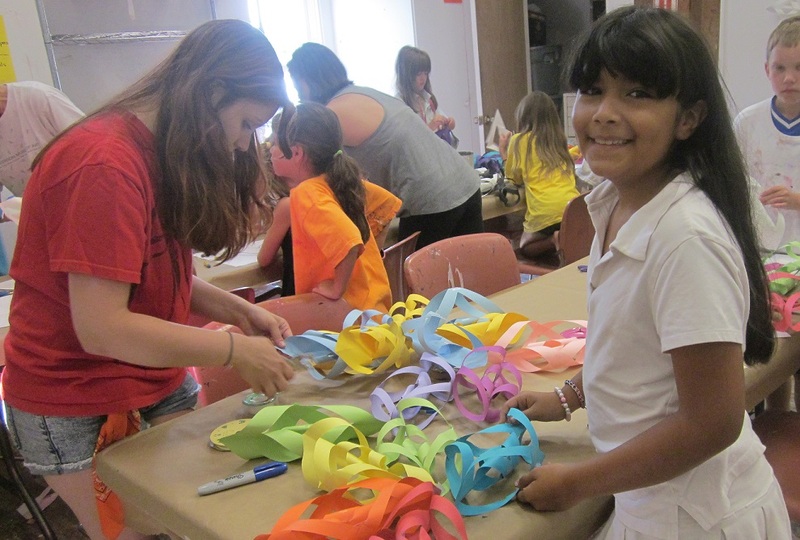 ArtParty proceeds directly support the Museum’s exhibitions and art enrichment programs including those for homeless families, at-risk youth and people with autism and other disabilities. Metropolitan Seafood Company in Lebanon is again graciously donating an incredible raw bar for the evening’s festivities. 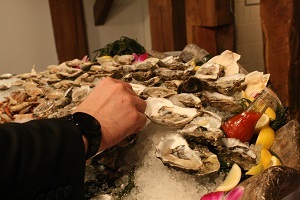 Metropolitan Seafood will also cater the event. The menu includes pepper-crusted ahi tuna carpaccio, tequila-seared shrimp, mini lump crab cakes and chili-rubbed chicken sate. The Party Pack will perform Motown hits and other great dancing music. A highlight of the evening will be a silent auction where attendees can bid on beautiful art, restaurant packages, a wine and chocolate tasting package, theater tickets, day-trip packages to New York City and Philadelphia, Walt Disney World passes and more. For tickets and more information, visit our website or call 908.735.8415. WHEN: Saturday, September 6, from 12:15 to 2:15 PM, and Sunday, September 7, from 3 to 5 PM. Callbacks will be by invitation only on Monday, September 8, from 7:30 to 9:30 PM. WHERE: Northland Community Center on Jefferson Court in Livingston, NJ. All roles for Adults and Children ages 8 and over are open. Please bring a headshot and your own sheet music, if possible. Be prepared to sing 16 bars of music and learn a brief dance routine. Performances will be held at 11:30 AM and 2:30 PM on both Saturday, November 15, and Sunday, November 16, 2014. Adapted from the Broadway hit, A YEAR WITH FROG AND TOAD (Theater for Young Audiences) was nominated for 3 Tony Awards—including Best Musical. Based on Arnold Lobel's well-loved books and featuring a hummable score by Robert and Willie Reale, this whimsical show follows two great friends—the cheerful, popular Frog and the rather grumpy Toad—through four, fun-filled seasons. 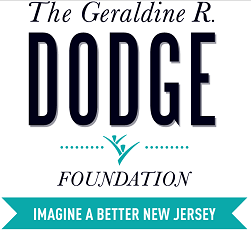 For more information, contact Lois Dyer at 973.533.1809 or Phyllis Meranus at 973.994.0102. A fast-paced, funny and remarkably powerful play about fame, celebrity and keeping up appearances. Welcome to the hottest joint in town! The Coasters are headlining this salute to legendary songwriters Leiber and Stoller in a raise the roof, song-and-dance celebration of some of rock 'n' roll's greatest hits! The story of an Argentine woman, Margarita, whose daughter becomes one of the many desparecidos of the Dirty War. For decades, Ann Landers answered countless letters from lovelorn teens, confused couples and a multitude of others in need of advice. This new one-woman play provides a compelling portrait of her. Timeless English carols are interwoven within the classic story of tight-fisted Ebenezer Scrooge and all the beloved characters from Dickens' 1843 novel. This performance will take you to the night in 1843 when Charles Dickens dreamed up his idea for the famous ghostly tale. The performance investigates how this female prodigy, this Mozart, faded from the world - and whether this loss was inevitable. A rollicking Irish comedy originally created by the brothers Frank and Malachy McCourt. Growing up, times were tough, but the tales spun by the McCourts simmer with bittersweet recollections, ferocious humor and a parade of colorful characters. Do you know the stories of how your ancestors came to America? What about the stories left behind? Based on Ilene Beckerman's best-seller and the recollections of Nora and Delia Ephron's friends, this show uses clothing, accessories and memories to tell stories that all women can relate to. Based on diaries, letters and interviews, this piece brings to life nine famous figures. WHEN: September 6 through October 11, 2014. Fridays and Saturdays at 8 PM (with the exception of October 3rd and 4th) and Sundays at 2 PM. TICKETS: $24 for all performances. Discount tickets for students age 25 and under with proper ID are available for $14 by phone or walk-up only. Tickets can be purchased online at www.bcplayers.org, by calling 201-261-4200 or by visiting the box office at 298 Kinderkamack Road in Oradell during regular box office hours. Visa, Master Card, and American Express are accepted. Those interested in Group Sales of 20 or more tickets can call 201.261.4200 (Mailbox #6). As it has for the past few seasons, BCP will continue to offer a “Questions & Artists” (Q&A) discussion following select performances. The Drowsy Chaperone Q&A will kick off immediately following the September 12, 2014 performance. Admission is included in the cost of the ticket. This charming and slightly wacky tribute to the musicals of the 1920s is a rare combination of modern wit and classic musical comedy. Regarded as “a musical within a comedy,” The Drowsy Chaperone begins when a modern day, die-hard musical theater fan known simply as “Man in Chair” plays his favorite cast album, the fictional 1928 musical comedy The Drowsy Chaperone, on his turntable. As the overture starts the musical bursts to life in his studio apartment, telling the rambunctious tale of a brazen Broadway starlet giving up her life on the stage to marry her true love, and her producer so desperate to keep his showgirl that he will go to great lengths to stop the nuptials. With an elaborate cast of over-the-top characters, including the dashing groom, his best man, two gangsters posing as pastry chefs, a Latin lover, and a drunken chaperone, The Drowsy Chaperone boldly addresses a great unspoken desire in everyone’s heart - to be entertained. The talented cast of The Drowsy Chaperone includes Will Nolan (Man in Chair), Janica Carpenter (Mrs. Tottendale), Brian Feldman (Underling), Craig Woodward (Robert Martin), Bill Cantor (Feldzieg), Debbie Zika (Kitty), Paul Aiello (Aldolpho), Danielle Valencia (Janet Van de Graaff), Marian McCabe (Drowsy Chaperone), Nadiya Braham (Trix), Marisa Gore (Gangster), George Kelly (Gangster), Elisabeth Erdmann (Ensemble), Justin Flores (Ensemble), Dan Giordano (Ensemble) and Nikki Simz (Ensemble). The production team is comprised of Steve Bell (Director), Michele Roth (Producer), Jalm Vanamo (Music Director), Sharla Herbert (Choreographer), Jim Kelly (Assistant to the Director); Paul Reitnauer III (Stage Manager), Greg Cilmi (Set Design), Allan Seward (Lighting Designer), Kathleen Ruland (Lighting Operation), Peter Oliff (Sound Operation), Ellyn Essig (Décor), Lynne Lupfer (Décor), Lauren Zenreich (Décor), Katie Lupfer (Costumes), Melissa Miller (Costumes), Annette Jacobs (Props), Rosemary Deflorio (Props), Marty Obolsky (Props), Pat Bain (Props), Marian Mccabe (Makeup), Joyce Ghia (Dresser), Larry Braverman (Crew), Andrew Whitney (Crew), Alan Zenreich (Photography), Steve Mintz (Photography), Barbara Mintz (Photography) Marci K. Weinstein (Program Notes), Jennifer Cottone (Publicity) and Andrea Pieper (Member At Large). Bergen County Players has grown tremendously from its roots as a small community theater when it was founded in 1932. Today, nearly 300 volunteer members, working on and off stage, make possible the nine productions presented each season. Bergen County Players, Inc. is a non-equity, non-profit community theater company dedicated to presenting quality productions for the enrichment of the community. Join us to hear Steven Less, son of artist and Holocaust Survivor, John H. Less, talk about his father’s experience in Shanghai during WWII. . Please bring a dairy lunch. Dessert and beverages will be served. This event is not in NJ, but it is not far away. 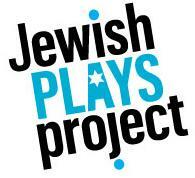 We are delighted to announce that the Jewish Plays Project is now accepting Project Submissions for its 2015 season. 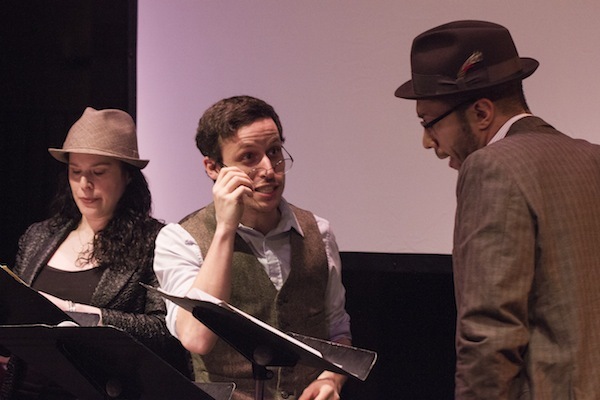 In past seasons, we have accepted new work formally through the Jewish Playwriting Contest and informally through a variety of industry channels. This year, we’re combining the two. Every project will go through the same online channel, and it will be up to the primary creative on each to select to which programs they want to submit. We’re aiming to keep control of your work in the artists' hands. Do the writers want as many opportunities for your new work to be seen, developed, appreciated, and advanced? So do we. They can check all the boxes. Writers want us to look at your new play but don’t want it in the public eye of the Contest? No problem. They can just leave that Contest box blank, and we’ll keep it to ourselves. We’re also accepting musicals this time around! We developed our first musical last year (Sharyn Rothstein and Kris Kukul’s modern Megillah, Beauty Queen) and really liked it. While musicals don’t quite fit into our Contest or OPEN structure yet, we want to survey the field and find out what’s being created. Can't wait to see 'em! What’s the Same This Year? 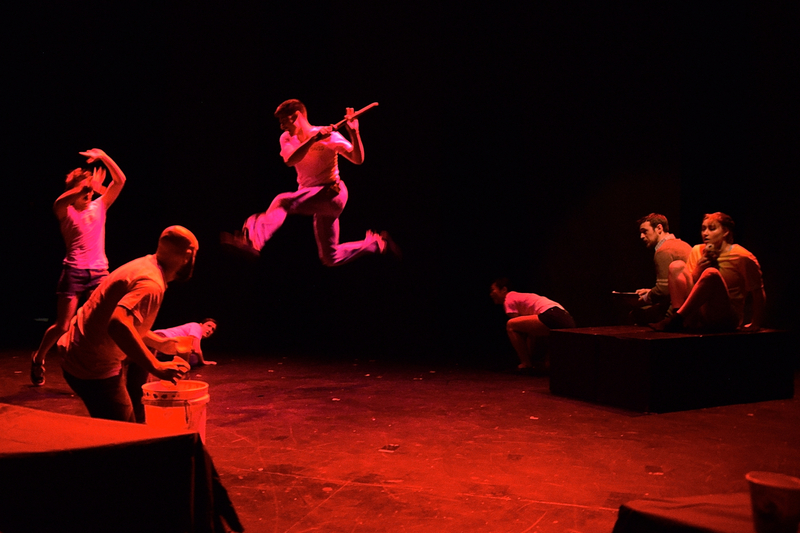 Our two main development programs – the Contest and OPEN: Festival of New Jewish Theater at the 14th Street Y - rock on. The Contest will take us around the country, bringing more than 500 diverse and committed lay leaders into the conversation to help us find the material that best represents our community right now. OPEN will light up New York in June, 2015 with the Contest winner and a few additional projects selected by the JPP staff. Plays that think differently about what Jewish theater can be, strive for epic size and impact, and embrace the emotional, the mystical, the theatrical. Writers grappling with social justice, economic justice, diversity, strong women in Jewish life, LGBTQ inclusion, new perspectives on Israel, environmentalism, and interfaith relations. Artists tackling the challenging, the controversial, the provocative. We are unafraid to walk these roads. We're asking the field to take a deep look at Jewish ideas, traditions, stories, myths, culture (and yes, even religion). We hope they get into this ancient balagan that’s full of really smart, useful, ethical and moral rules. We want them to show us how they Jew. That’s it really. Stay tuned to this space to see what we get. Submissiosn are open until October 9. Make sure your colleagues, friends and enemies know! I am so excited to post this notice about WITTENBERG, being produced at STNJ this September. 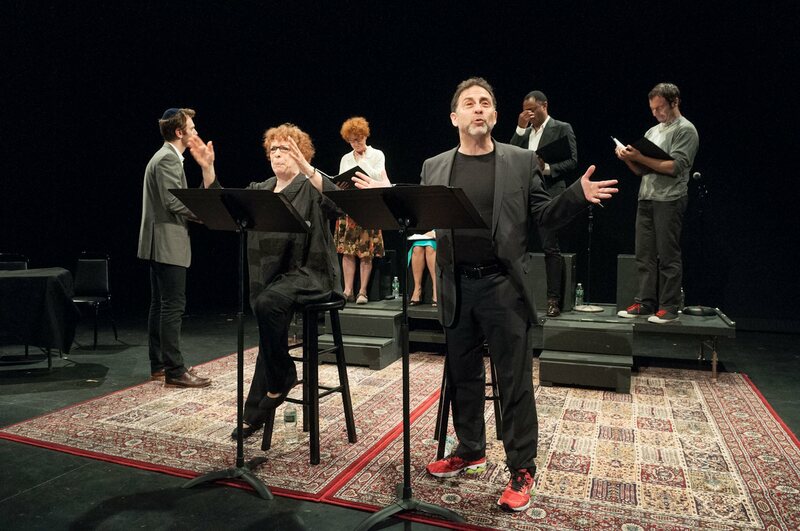 I attended a staged reading last winter and we recommended that it be produced on the STNJ stage. It is a hilarious take on WHAT IF? And it stars (and is directed) by some of the most talented actors in NJ. Here it is! TICKETS: $25 for preview performances and $32 for regular performances. Student rush tickets for all performances are $15, available a half-hour before curtain for with a valid student ID. For tickets, call the Box Office at 973.408.5600 or visit www.ShakespeareNJ.org. A play that the Philadelphia Inquirer winkingly celebrates as “Finally—a decent Protestant Reformation comedy!”, Wittenberg begins in northern Germany, the year 1517, on the University of Wittenberg campus. Young Hamlet, prince of Denmark, is a senior, unsure of his beliefs after an eye-opening summer spent studying abroad. Upon his return to school, he seeks guidance from his two trusted professors—philosopher John Faustus and theologian Martin Luther. Davalos deftly combines historical fact and literary fiction in Wittenberg. Martin Luther was the Catholic priest and German monk who protested, amongst many other things, the Catholic Church’s practice of selling indulgences and confronted the practice by penning his Ninety-Five Theses, a scalding indictment of the Catholic Church’s abuses of power. He famously nailed the pages to the doors of the All Saint’s Church in Wittenberg, Germany on October 31, 1517. Luther was excommunicated and exiled; he became the figurehead of the Protestant Reformation, the movement that ruptured the Catholic Church. Unlike Luther, the character of Doctor Faust is literary fiction, nearly as famous as Hamlet. Beginning as a German legend about a learned scholar who strikes a deal with the Devil—exchanging his soul for earthly pleasures—Faust was most famously depicted in Elizabethan dramatist Christopher Marlowe’s 1604 play The Tragical History of Doctor Faustus and Goethe’s early-19th century editions of Faust. In Goethe’s interpretations, Faust and the Devil travel through time, meeting Helen of Troy; the infamous beauty appears in Davalos’s script as well. The Centenary Stage Company, a not-for-profit professional equity theatre located on the campus of Centenary College in Hackettstown will hold Auditions for the production of HARVEY. The production will run Oct. 3-19th, with the first rehearsal on September 15. CAST – Lyman Sanderson, M.D. Performers should bring a photo and resume, stapled back-to-back. Actors may read sides from the script which will be provided at the audition, or perform a monologue for the audition. Visually-impaired performers may request an advance copy of the sides when making an audition appointment. Actors can call 908.979.0900 ext 8 to schedule an appointment. Actor without an appointment will be seen as time allows. CSC operates under a SPT Actors Equity Association contract, with a weekly salary of $332.00 for union actors, and a stipend for non-union actors. WHERE: The Jewish Heritage Museum is located at 310 Mounts Corner Drive in Freehold Township. It is a 501(c)(3) not for profit organization and is handicapped accessible. For more information or to make reservations call the Museum at 732.252.6990or visit its website at www.jhmomc.org. Advance registration is required so that adequate supplies will be /on hand. Taught by dynamic Rabbi Bernstein of the Chabad of Western Monmouth County, participants will craft a beautiful shofar from a genuine ram's horn, from the initial cleaning of the horn to the final step of polishing it. This event. suitable for ages 7 through teen, promises to be a "blast" so sign your children up quickly as space is limited. Since opening in a rented loft at Fifth Avenue and 125th Street in 1968, The Studio Museum in Harlem has earned recognition for its catalytic role in promoting the works of artists of African descent. Charles Gaines: Gridwork 1974–1989 is the first museum survey of the Los Angeles–based conceptual artist’s early work. Charles Gaines is celebrated primarily for his photographs, drawings, and works on paper that investigate systems, cognition, and language. The exhibition features seventy-five works from the beginning of a singular career that now spans four decades. Jeff Koons is widely regarded as one of the most important, influential, popular and controversial artists of the postwar era. Comprising almost 150 objects dating from 1978 to the present, this exhibition is the most comprehensive ever devoted to the artist’s groundbreaking oeuvre. It is his first major museum presentation in New York and the first to fill nearly the entirety of the Whitney’s Marcel Breuer building with a single artist’s work. It is also the final exhibition to take place there before the museum opens its new building in the Meatpacking District in 2015. Lunch at Orsay is included. For details and registration, visit the webpage. Seating is limited; please register by September 2. *This season ART AFTER HOURS moves to First Tuesday nights! The Zimmerli's operations, exhibitions, and programs are funded in part by Rutgers, the State University of New Jersey, and income from the Avenir Foundation Endowment, the Andrew W. Mellon Foundation Endowment Fund, and the Voorhees Family Endowment, among others. Additional support comes from the New Jersey State Council on the Arts, a partner agency of the National Endowment for the Arts; the Estate of Victoria J. Mastrobuono; and donors, members, and friends of the Zimmerli Art Museum. Needed are several performers, ranging in age, including some high school aged performers. Those auditioning need attend only one of the regular audition dates. Monologues are welcome but not required. Audition sides from the script will be provided at auditions. More information including character breakdown is available via our Facebook page. Special Appearance Actors' Equity contract is available. Sibling rivalry, adultery and dungeons—The Lion in Winter, by James Goldman, is a modern day classic. Comedic in tone, dramatic in action—the play tells the story of the Plantagenet family who are locked in a free for all of competing ambitions to inherit a kingdom. The queen, and wealthiest woman in the world, Eleanor of Aquitaine, has been kept in prison since raising an army against her husband, King Henry II. Let out only for holidays, the play centers around the inner conflicts of the royal family as they fight over both a kingdom, as well as King Henry’s paramour during the Christmas of 1183. "A work of intelligence, astringent wit, and much theatrical skill." —The New York Times. "Marvelously articulate language, with humor that bristles and burns" —The Los Angeles Times. Rehearsals will run through September and October. Performances are November 1 - 16. Cast members must keep scheduling conflicts to a minimum. FILMS @ MONDO THIS FALL: MARK YOUR CALENDAR! MONOLOGUE @ MONDO THIS WEDNESDAY EVENING! AUDITIONS BEGIN MONDAY! SCHEDULE YOURS NOW!